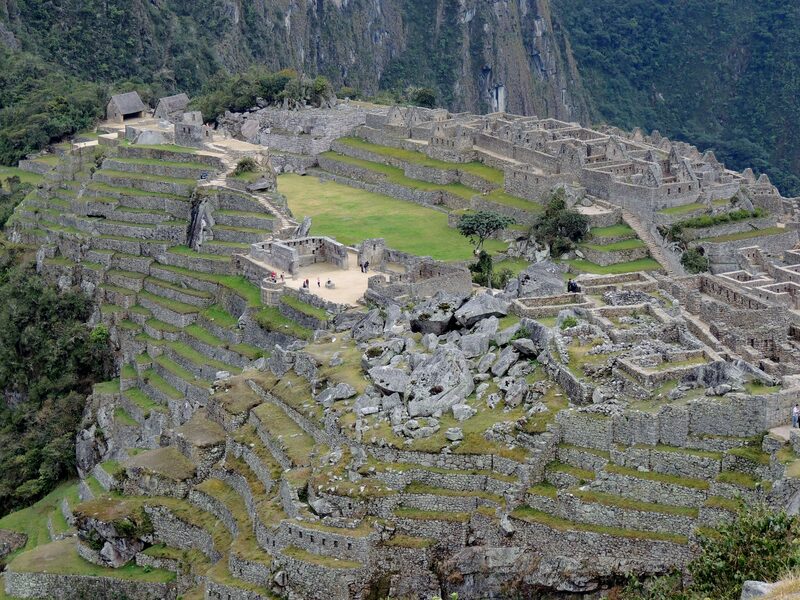 Cusco, situated in the Andes, in south-eastern Perú, was the capital of the Incan Empire. 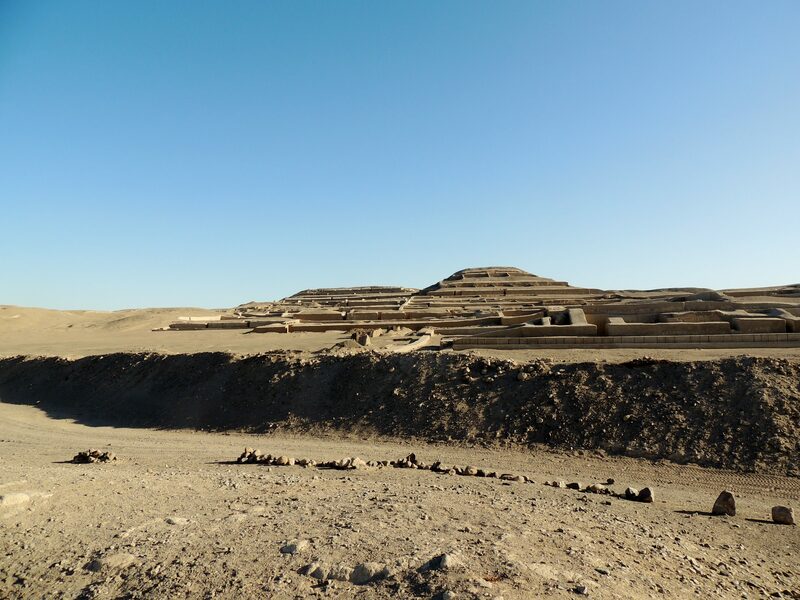 It is surrounded by sites of historical and archaeological interest. 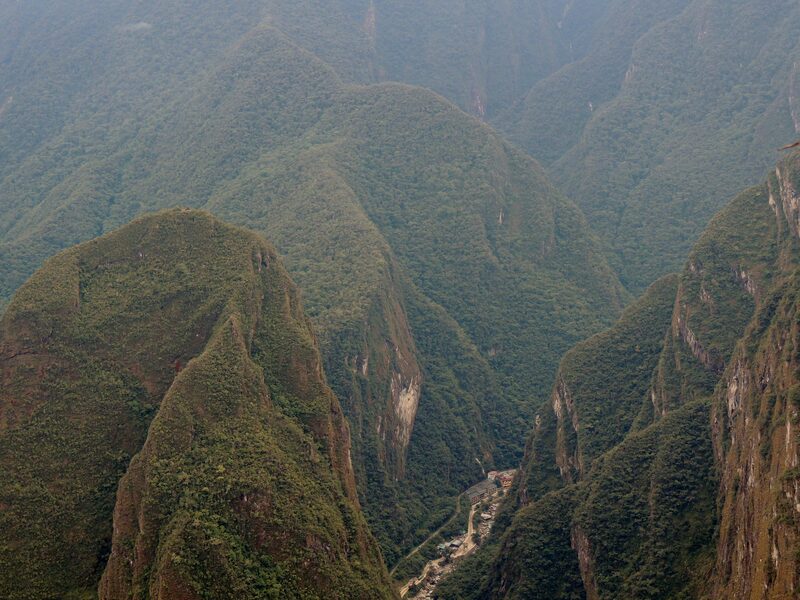 The modern day wonder of the world, Machu Picchu being the most notable. Tourism is big business in Cusco and there are some disreputable companies ready to take advantage of people easily parted from their cash. Happily, there are other companies who, while not being the cheapest, offer a good service. Also you can buy a tourist ticket which lasts up to 10 days and gives you entrance into many of the sites in and around the city. It is a good way of saving money. Having visited a lot of the sites around the Sacred Valley and my Boleto Turistico expired, I decided to take the tour bus and have a look at the city from a different perspective. The bus departed from the Plaza de Armas at about 5 pm, which was shortly before dusk. Not so narrow street in the old city. As we climbed the hill, the sun began to set and the various cloud formations became more noticeable. As the bus began its descent back toward the city, darkness fell and still marvelling at the light show that nature had provided, I decided to take some photos of the city lights. Not easy when you are on a bus, especially as it goes over speed bumps. City at night, courtesy of speed bump. After visiting Tambomachay and Puka Pukara, two Inca sites a short distance outside of Cusco, I set off in search of the Temple of the Moon. I had been given directions by Jeremy, of Rumi-Tumi Tours but after a couple of hours of looking over the previous sites, I couldn’t remember them very well. Circular pond in a ploughed field. …but no Temple of the Moon. I carried on walking, intrepid explorer style, passing bemused farmers and their families. 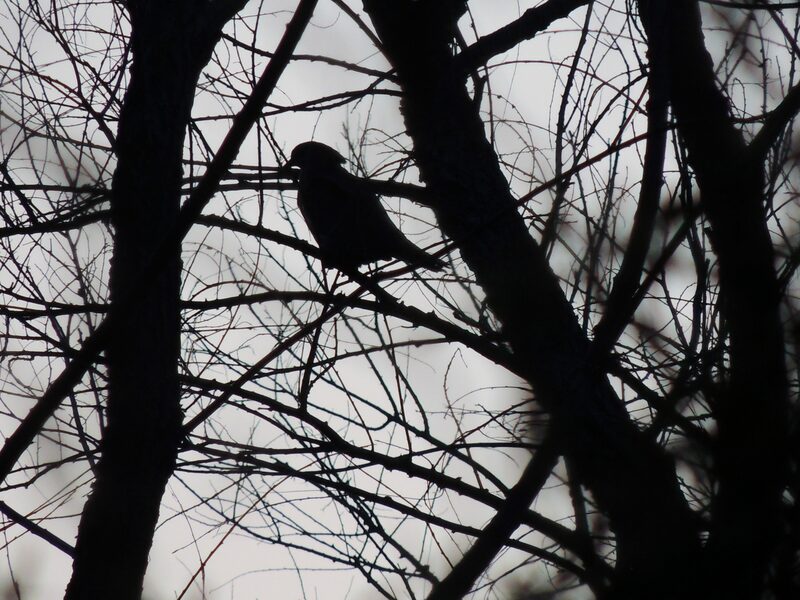 I was on the point of giving up, when I spotted a group of young men collecting wood. 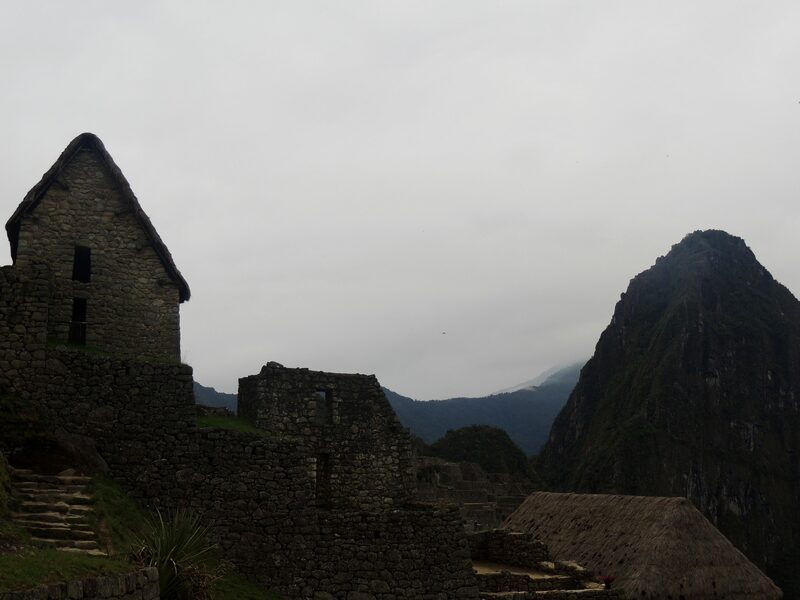 I asked them if they were aware of Inca ruins close by and received directions to a site which was just a few minutes away. Is that another face carved in the rock. Steps carved into the rock. Could this have been an altar? Looks interesting. Could this be it? From the “unknown” site, I started back towards the City. It had started thundering and rainfall was imminent. As luck would have it, before long, I stumbled on another site. This one was clearly signposted as Laqo, which as it happens, is the Temple of the Moon. However, by this time, with a 5km walk ahead of me, at least, I decided to take just a few photos and try and get home before the downpour began. I can go back again later for more if I have time. 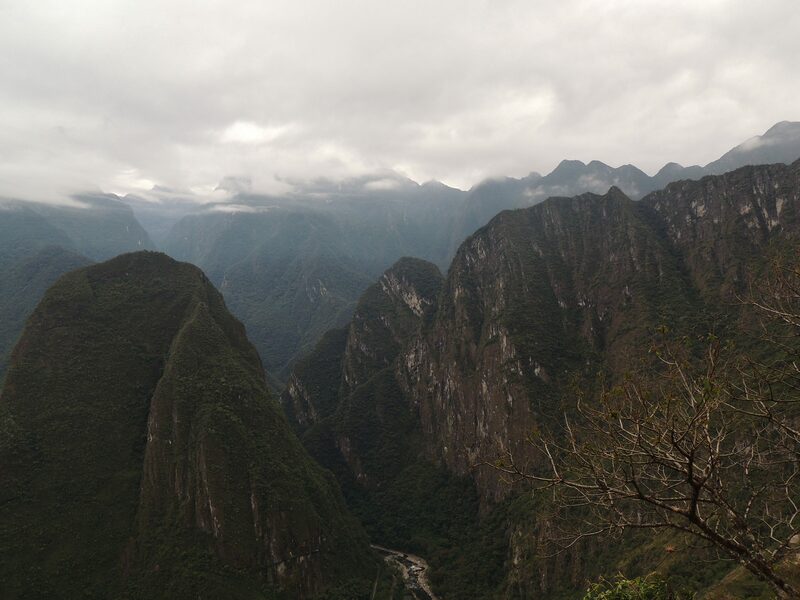 Another hike up the hill out of Cusco for about 30 minutes and I was at Q’enqo. 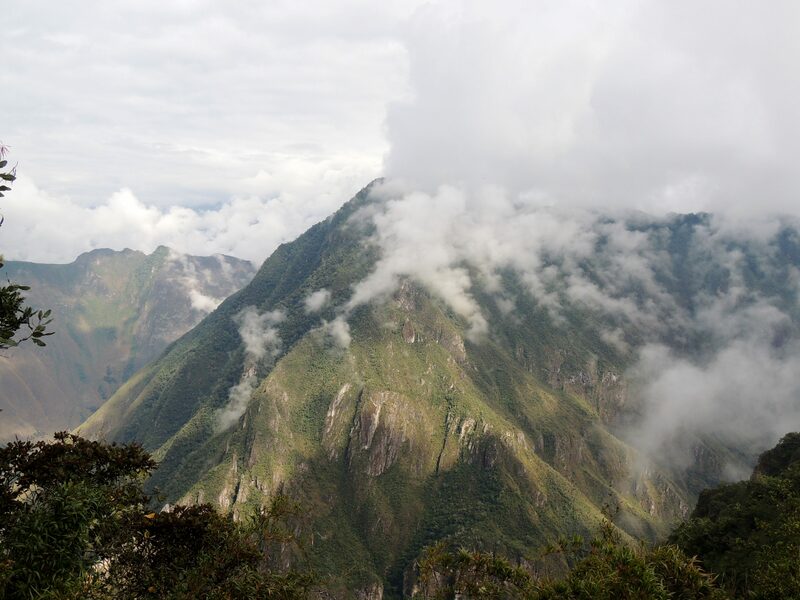 It was a religious site or temple and was used by the Incas for making sacrifices. The rock formations are much different to what I have become used to seeing recently. One statue is said to be of a Puma but bears little resemblance, except when the angle of the sunlight is correct. The shadow is supposedly in the form of a puma. There are tunnels or labyrinths and you can enter the “ritual room” where sacrifices would have been made. Sacsayhuaman in Cusco, Perú, was a fortress built high on a hill overlooking the city. 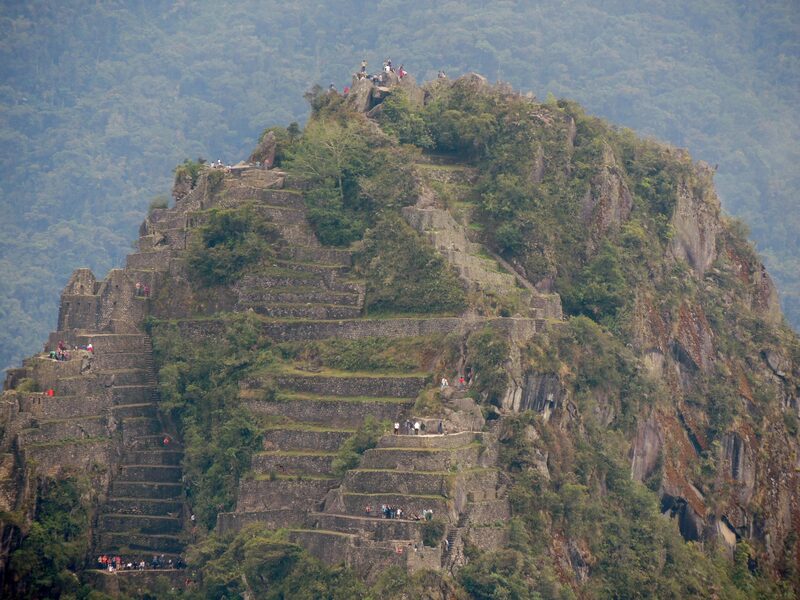 It was built using blocks weighing up to 200 tons, apparently. 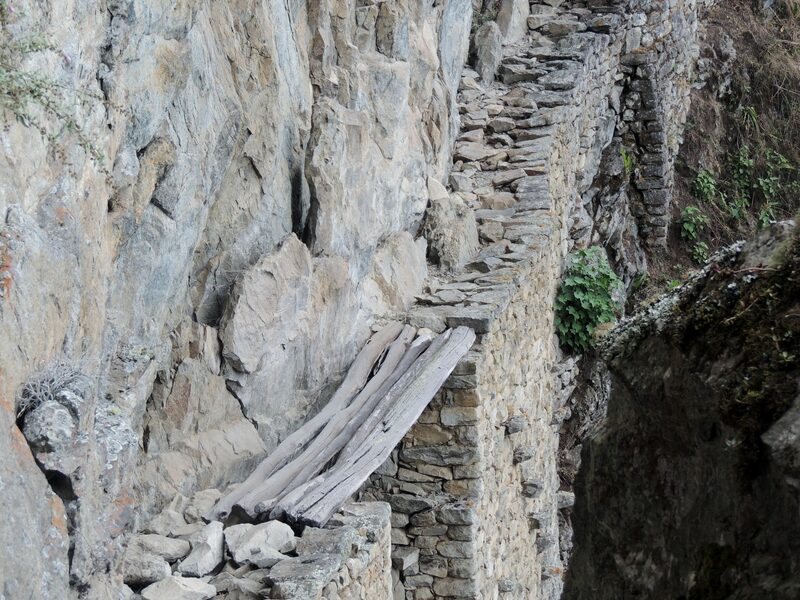 The construction was so precise that even without mortar, it was earthquake proof. 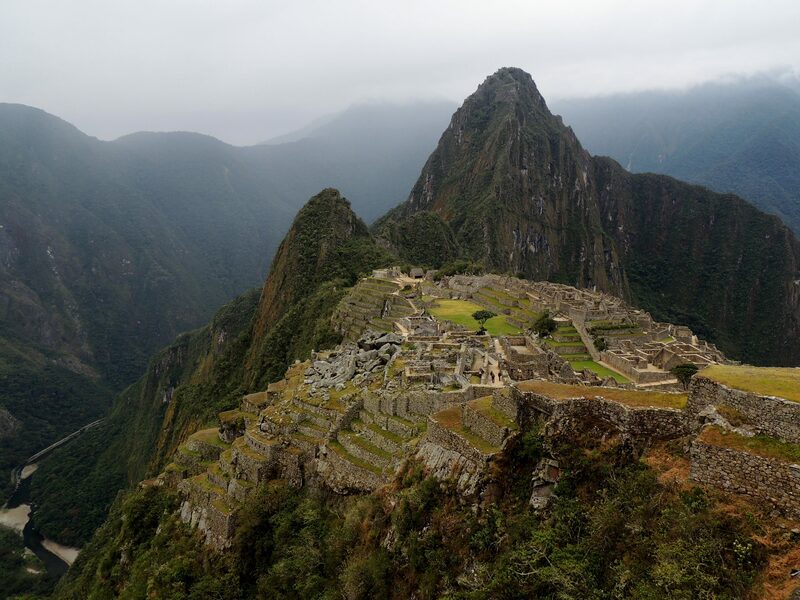 The reason there is not more of it still standing today is that the Spanish Conquistadors used it as a quarry to source materials for their building projects. As my accommodation is not far from the site, I decided to take a short cut, climbing to the top of the hill. It was a bit strenuous for an old bloke but worth the effort. 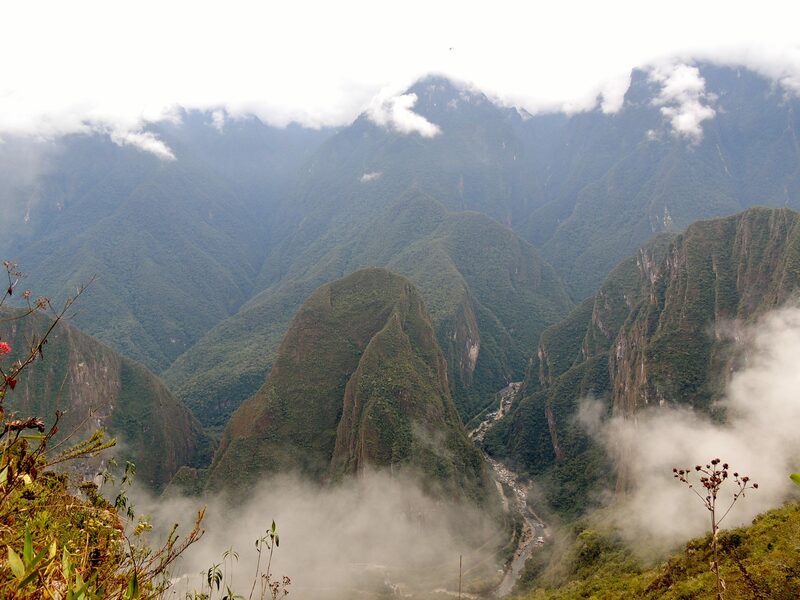 There were spectacular views on the way up. First view of the terraces. 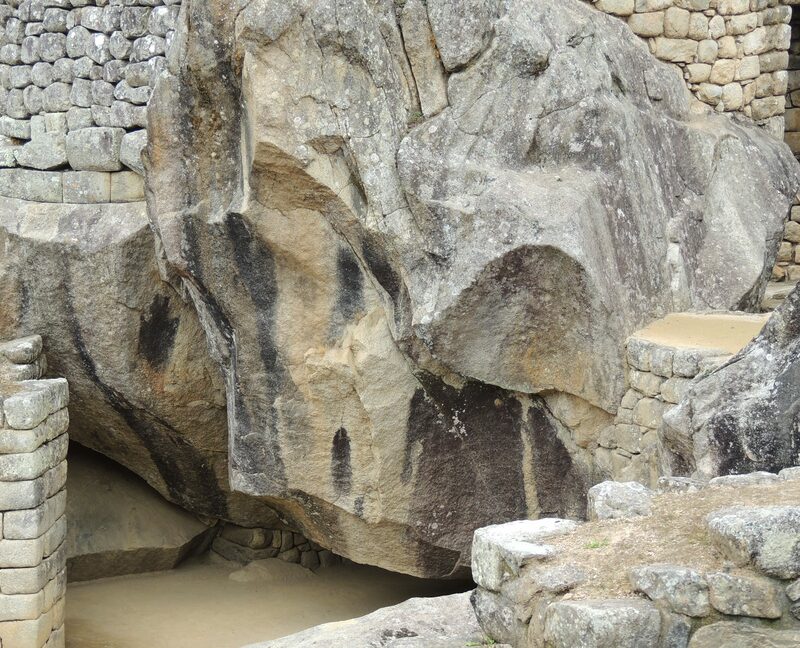 There are various theories about how the Incas were able to construct Sacsayhuaman using such large stones. Also there is the question of where did they get the tools to work with such precision. Some theories even suggest extraterrestrial involvement. However they managed to get the stones there, it is a testament to the builders, that their handiwork can still be seen today. When I started my ascent earlier, I was unaware that there was a parade taking place at the Plaza de Armas. The music of the marching bands carried up to the top of the hill and seem to add something to the atmosphere. Maybe, resembling the bringing down of the walls of Jericho. …and the walls came down. 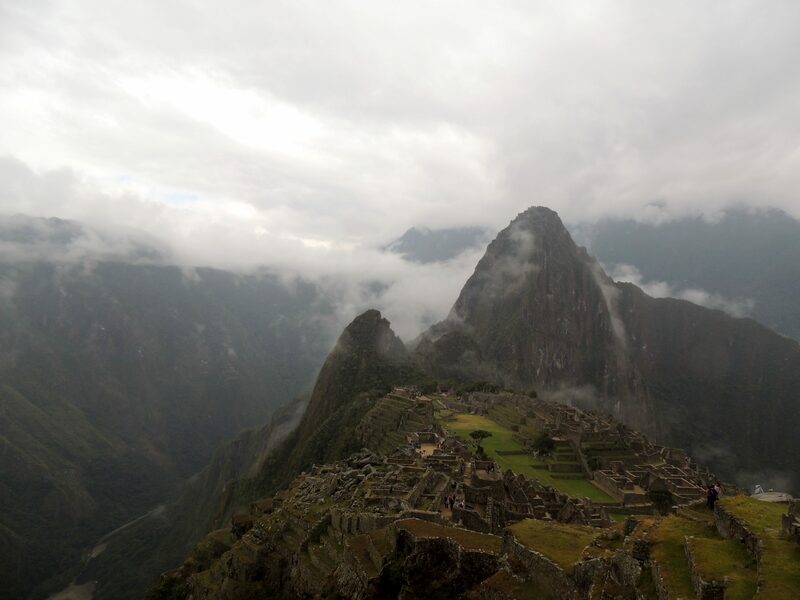 For some years I had the ambition to visit Machu Picchu. 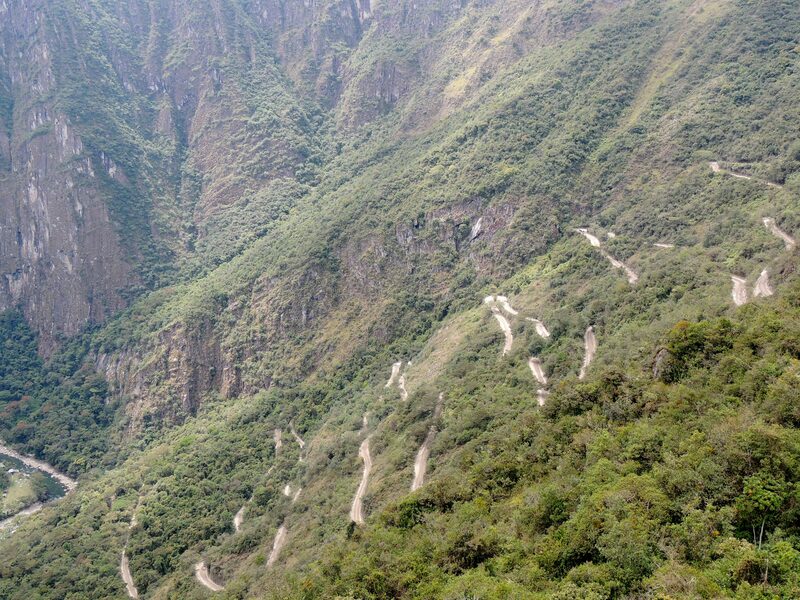 Perú´s famous Inca site and possibly the most famous tourist destination in the world. 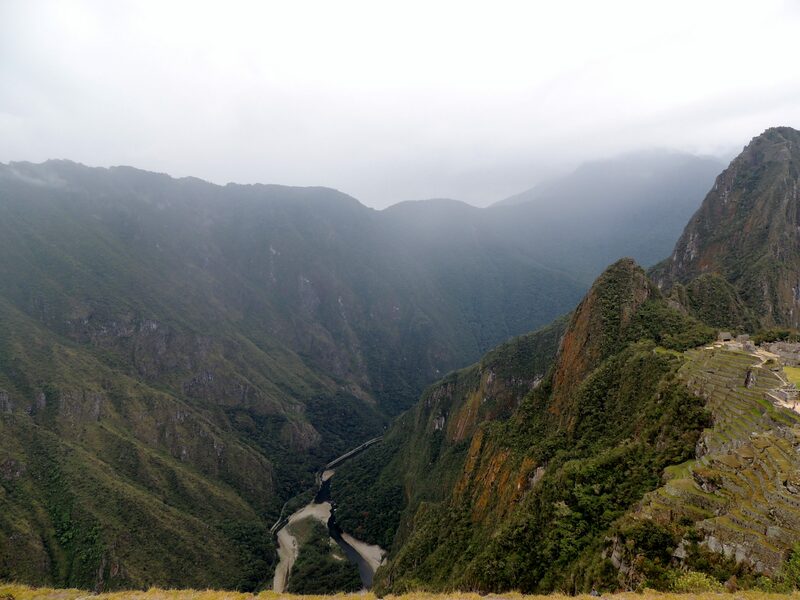 My adventure in South America began more than 3 months ago but, as I was aware of the fact that, to really enjoy it, I needed to improve my fitness level, I delayed the trip until I was sure I felt fully capable . Fortunately, all of the running and walking around Lima and Chiclayo over the past few months, has paid dividends. 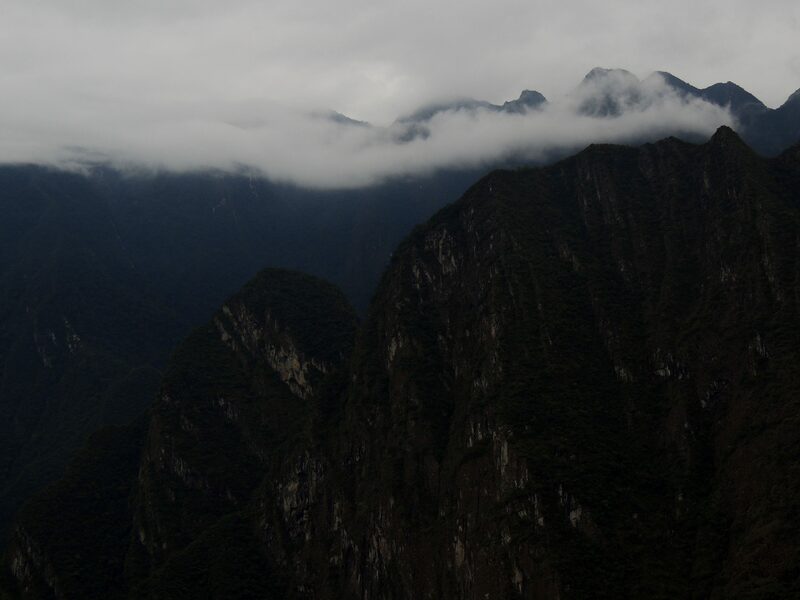 After the 15km hike of the day before, I went to bed early, in order to get up at 4 am. 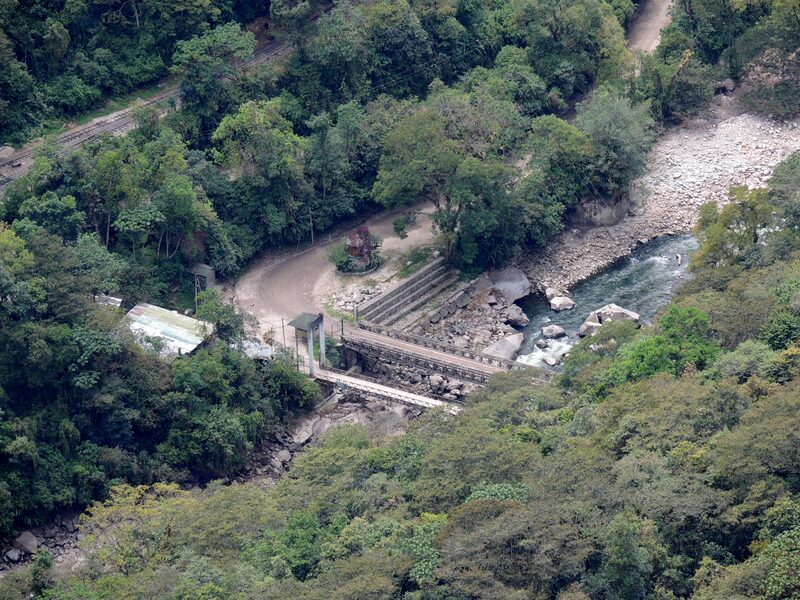 I left my hotel at 4.30 and reached the bridge which you have to cross to gain access to Machu Picchu, before 5.00, at which time the gate is opened to allow people in. 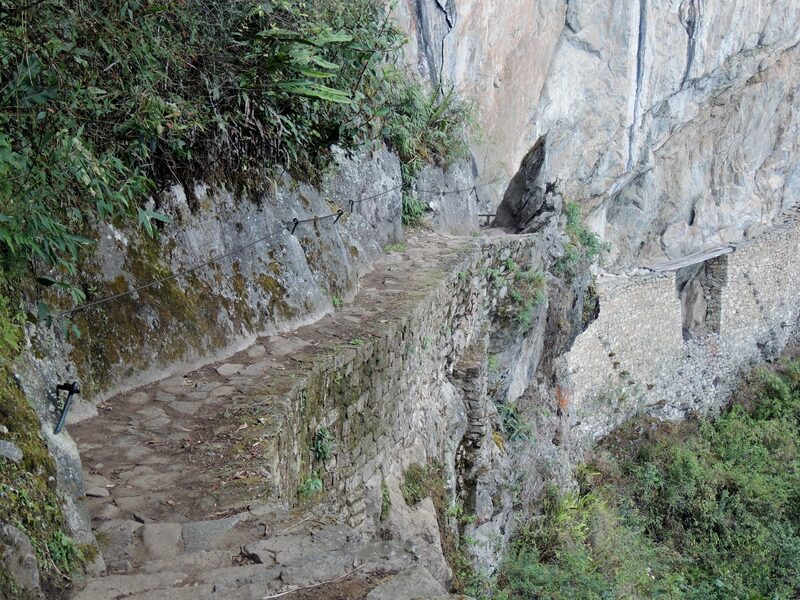 The climb to the entrance to Machu Picchu itself is 450 metres, most of it via steep and uneven steps. I set myself a time of somewhere between an hour and eternity and was well pleased to find myself queuing at the entrance with people who had taken the bus up, after only an hour and 15 minutes. 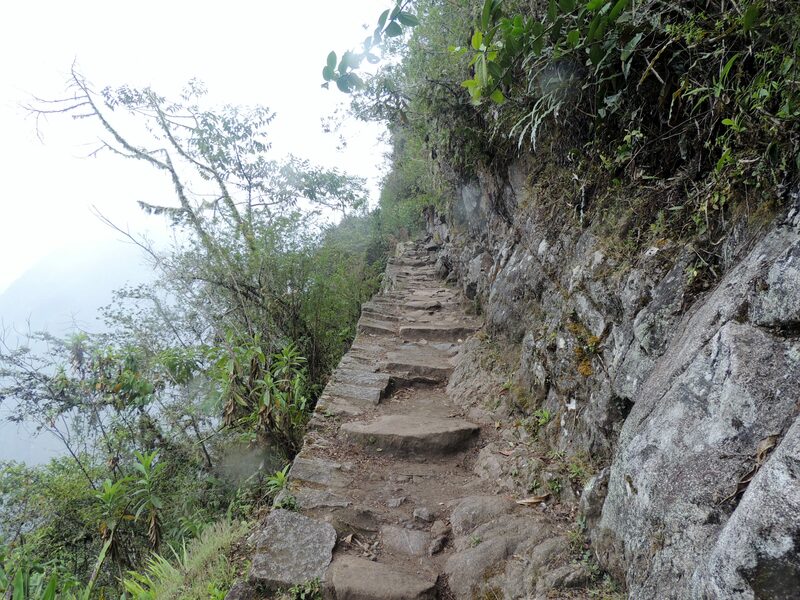 My legs were feeling tired but that soon passed as I entered the amazing citadel in the sky that is Machu Picchu. The Long and Winding bus route. The bus and pedestrian bridges. I was in Nazca for less than 10 hours but the flight over the Nazca Lines only lasted 35 minutes and the whole experience was less than 2 hours. 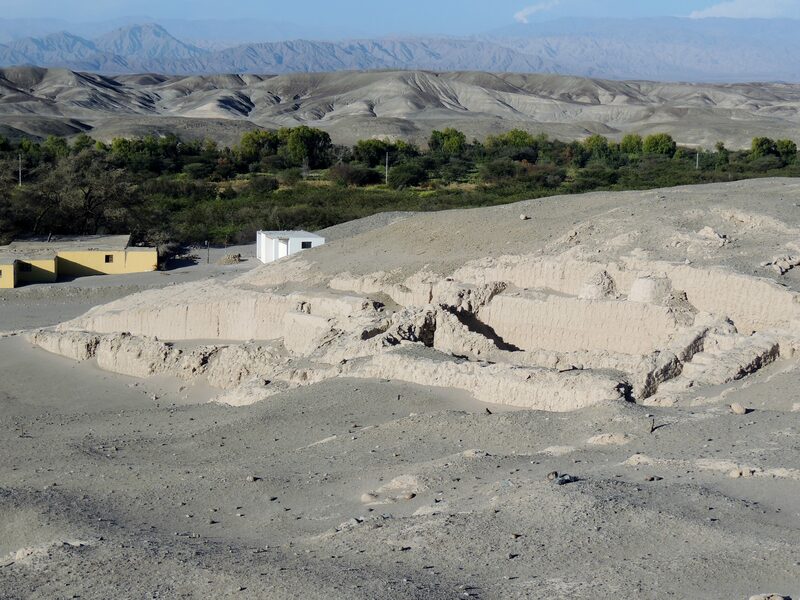 In the afternoon, Pepe, the tour operator at AeroParacas organised a trip to Cahuachi, an archaeological site about an hour´s drive through the desert from Nazca. 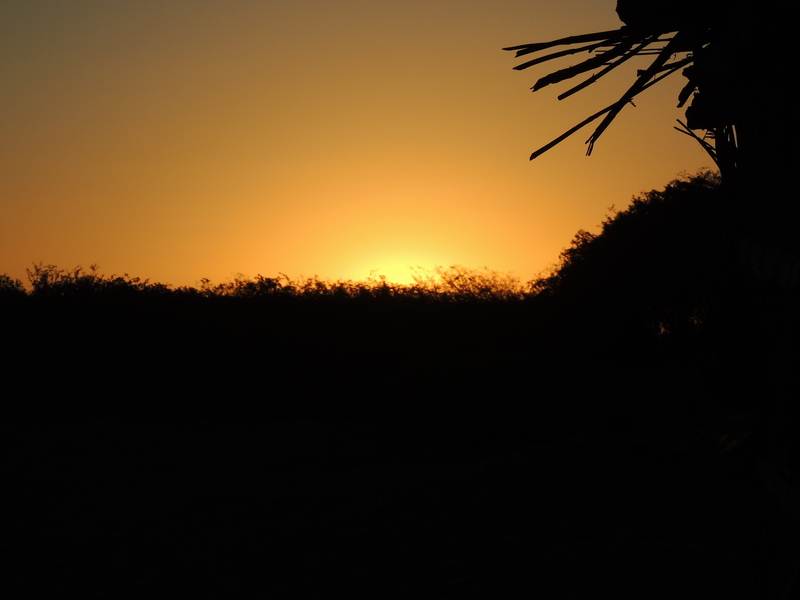 The Nazca people are said to have used Cahuachi mainly for ceremonial purposes and it did not have a large population. 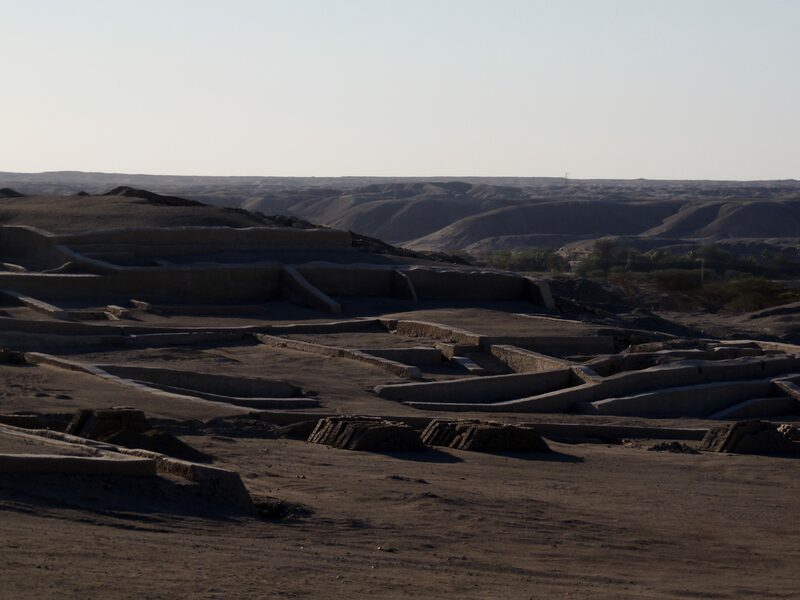 The site is huge, consisting of some 40 adobe pyramids. 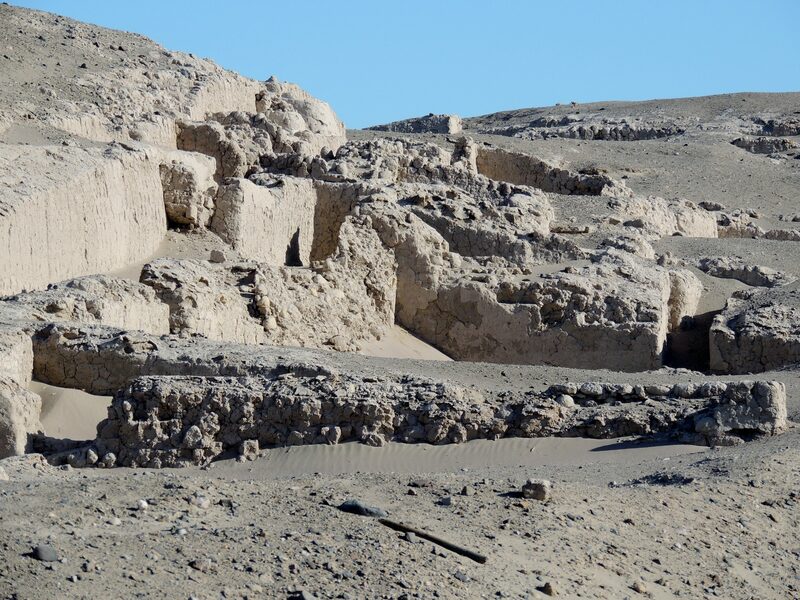 Sadly, like many similar sites in Perú, they have been subjected to looting. The part of the site I visited was quite easily accessible via a dirt road and has been restored to some degree. 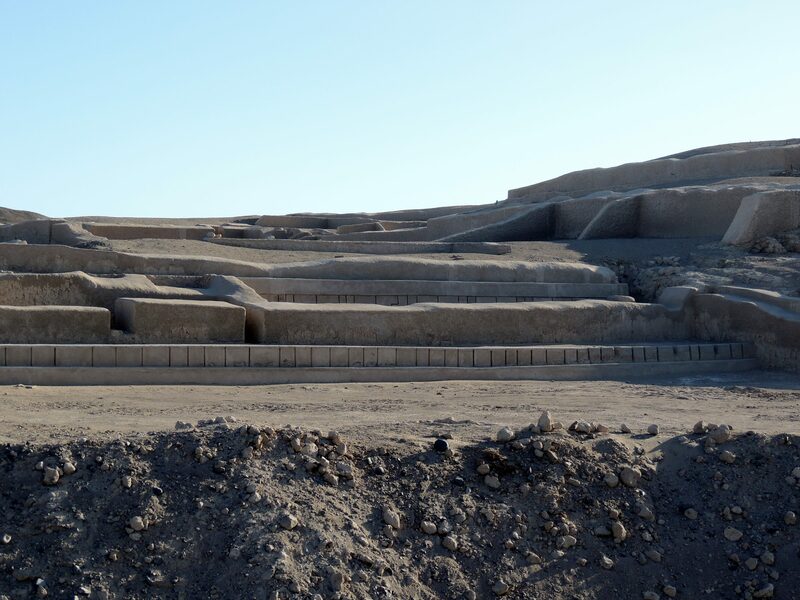 To protect the restoration, you cannot go on to the pyramids. 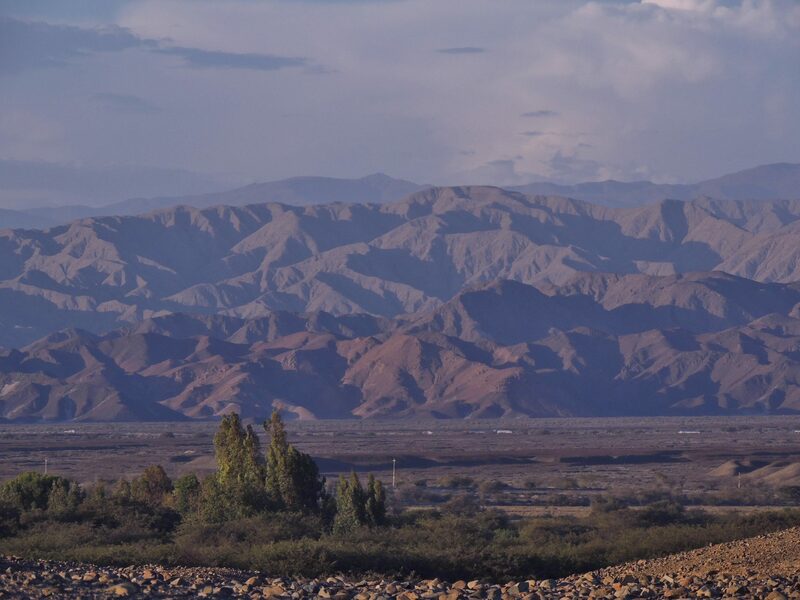 Cahuachi is set in a stunning landscape. 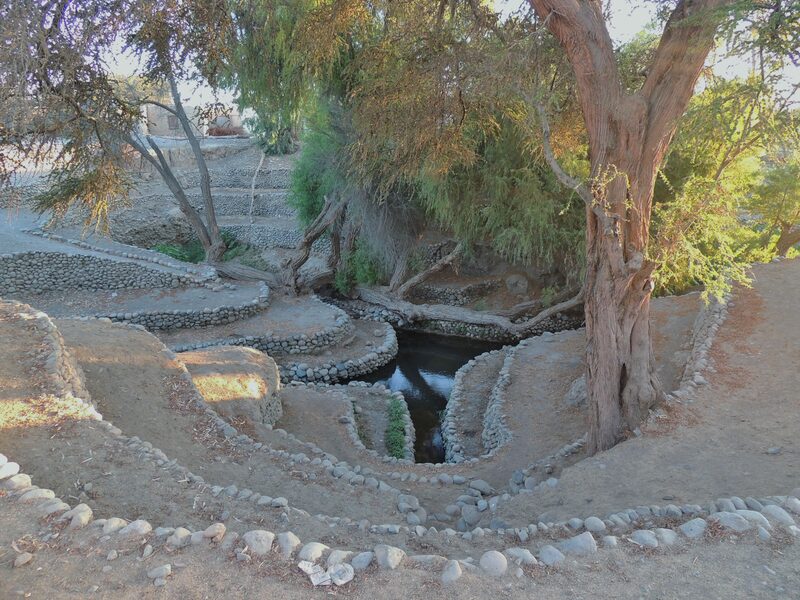 … to see an example of the aquaducts built by the Nazca culture. We arrived there just before sunset.